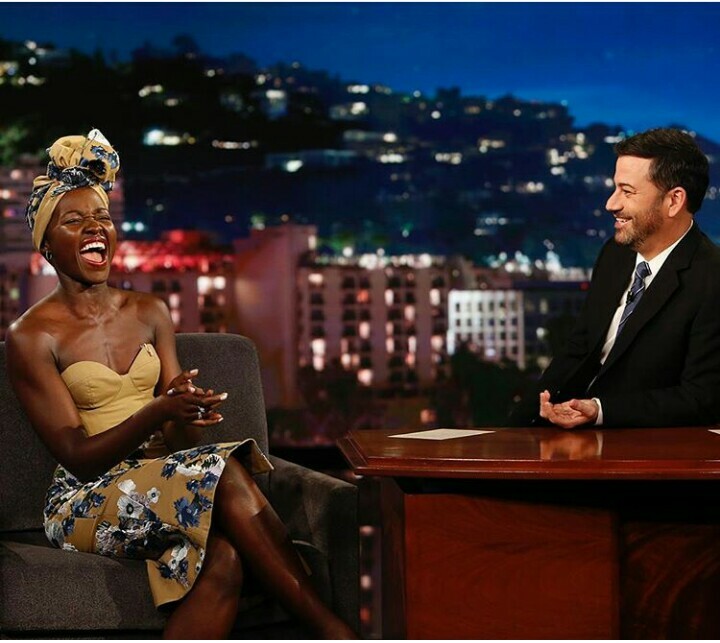 Lupita “The Queen” Nyongo has been on a head wrap binge and I’m more than happy to be witnessing this. 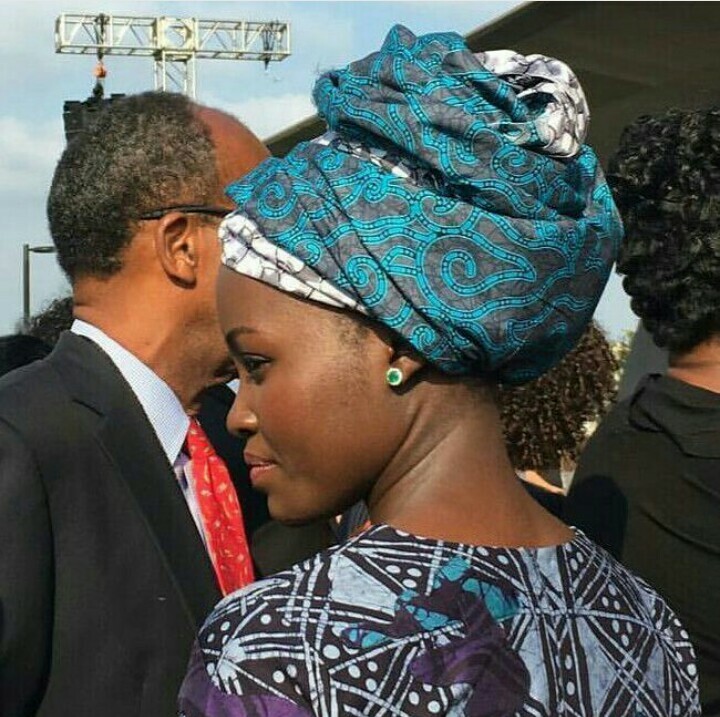 The head wrap as earned it’s place as the African crown 👑 and rightfully so. And another great news! 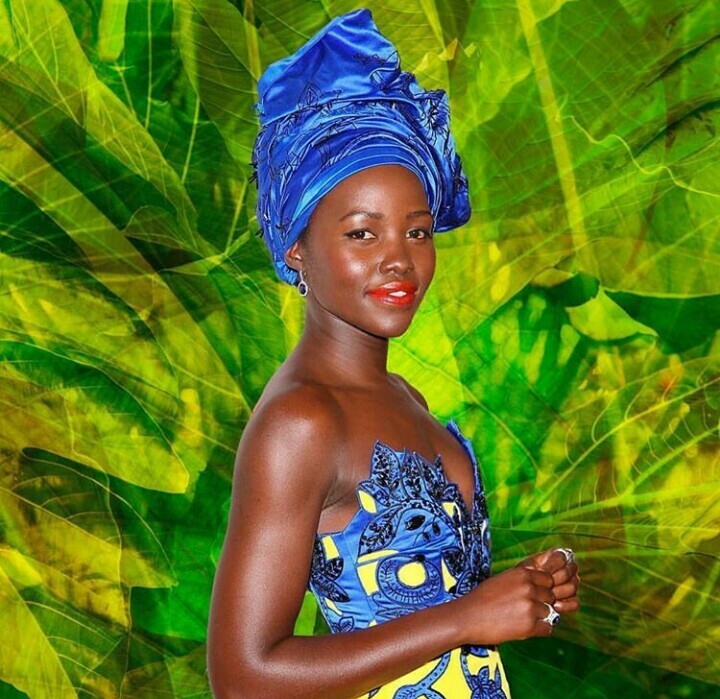 There’s absolutely no rule to tying it at least that’s what Queen Lupita just whispered to me. 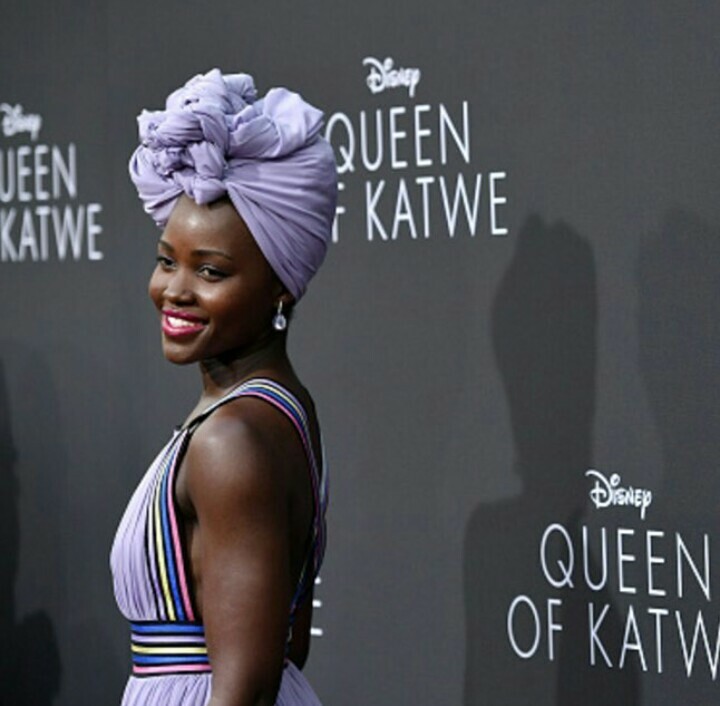 So if you are scared you can’t tie a head wrap, the secret really is to just start tying it, begin anywhere, go with the flow…. Hmmn sounds like this head wrap tying thing is trying to teach us some life lessons. If that fails for you (although I doubt it will) there are loads of YouTube head wrap trying tutorials. 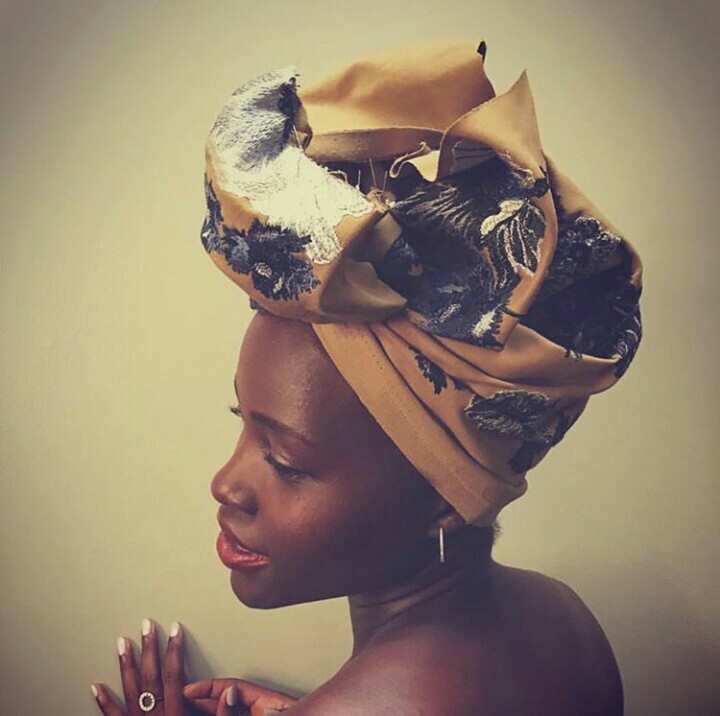 I’m already on the head wrap wagon, I’m just here to confirm that you’d be joining us. 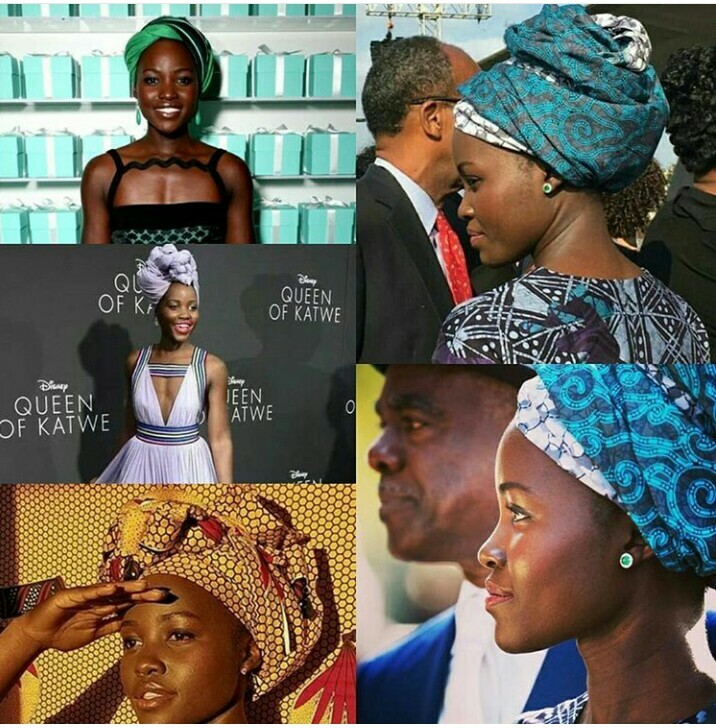 I hope you enjoydd this post, I also hope that you’d truly join the African Queens and tie a headwrap today. I definitely want to know your thoughts on this piece, please let me know in the comment section what you think of head wraps. Don’t forget to subscribe to this blog, like my facebook page,and follow my social media handles, all of which are at the top right hand corner of this page. 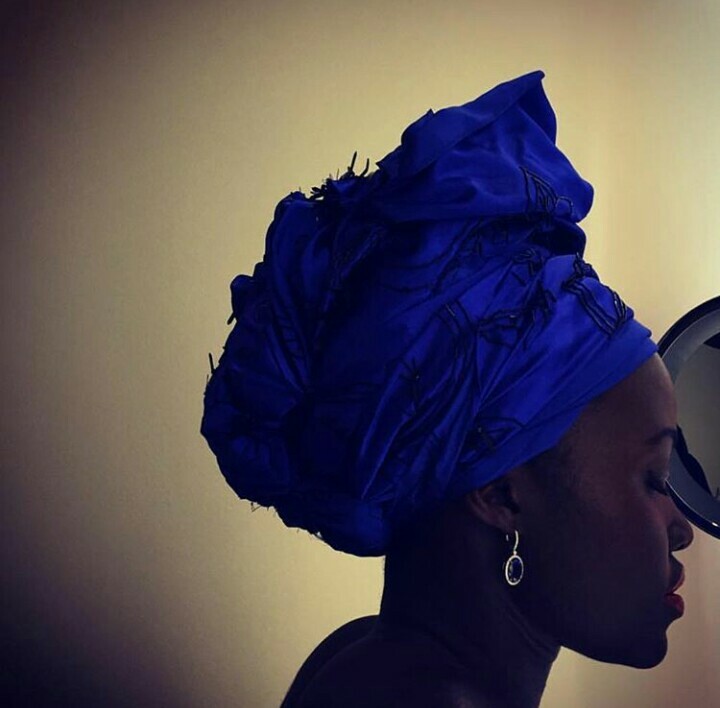 Headwraps are cool and make outfits really stylish. 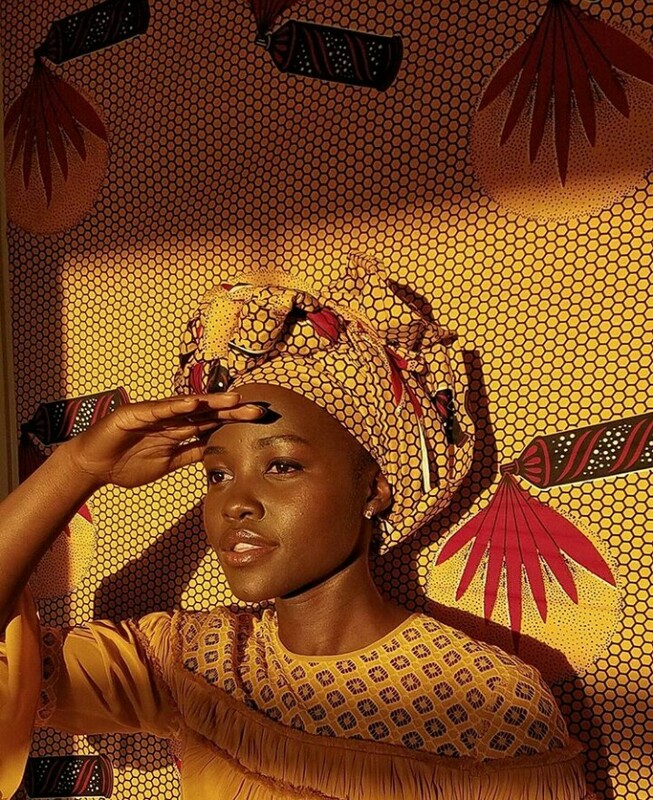 Lupita is really the Headwrap queen. Yass!! Lol! She definitely is. I love Headwrap myself and I’ll be doing more of it now that I’ve cut my hair. She looks great in them all. 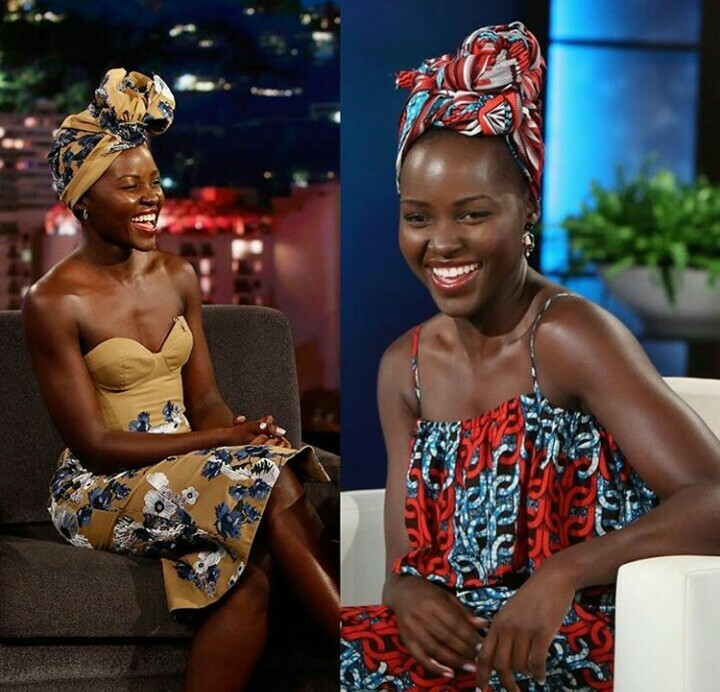 I love them, but I know next to nothing about tying a headwrap. 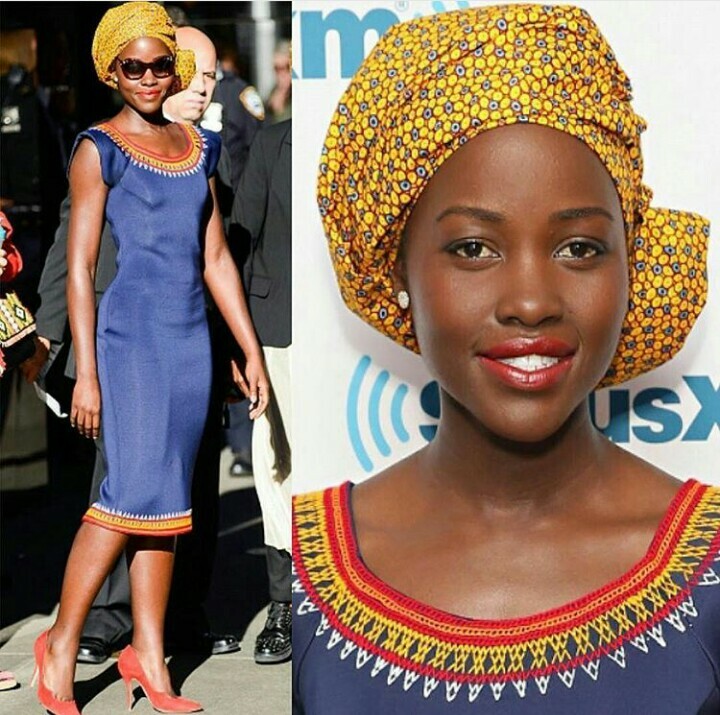 Yes..she does I think with Ankara headwraps you can freestyle it. I’m not sure if that will work for proper gele . at the end of the day there’s always YouTube to go back to…thankfully. She is so GORGEOUS! 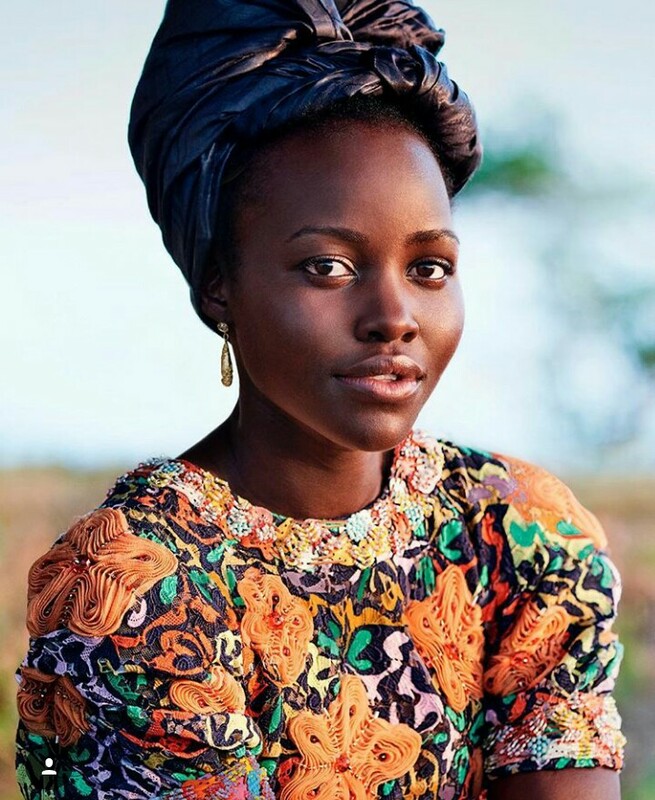 I’m in total awe every time I see a photo or video of her—this blog post nearly snatched my soul due to her beauty, lol! 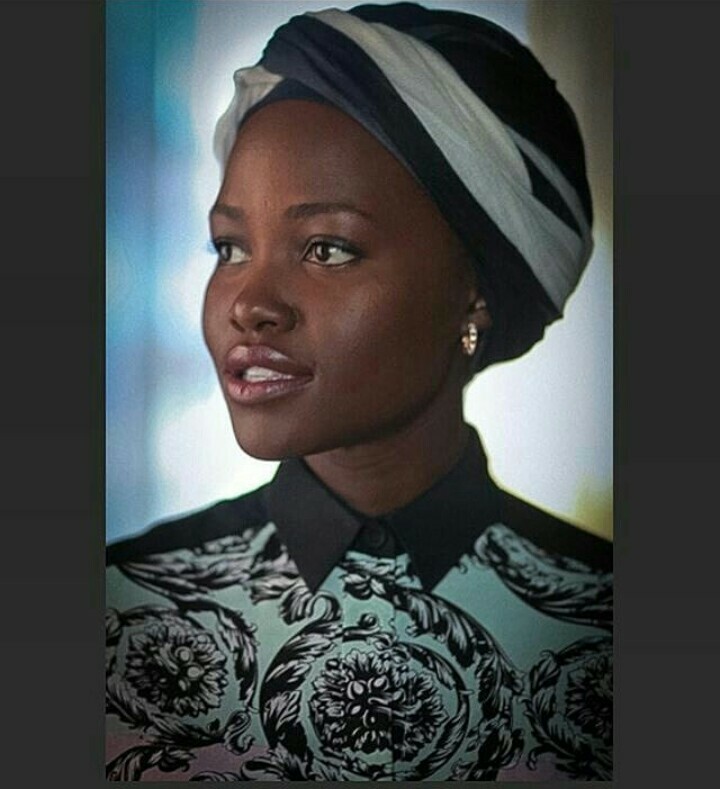 My mother always wears them, but I personally have never tried wearing a head-wrap for style, so this was definitely great inspiration.